Smartwatches are now like an upcoming boy band. They're increasingly becoming insanely popular, whilst grabbing the attention of some of the world's largest and notable tech companies. Lately, rumors are pointing that Samsung is also working on a smartwatch of its own that'll compete with what else? Apple's rumored, and highly anticipated iWatch. 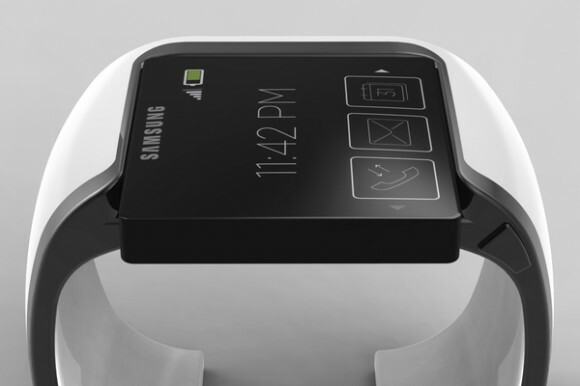 Samsung's rumored touchscreen smartwatch is dubbed the Galaxy Altius, and from what we can tell, it looks pretty slick. That is if this so called concept will see the light of day. Other than displaying some typical "smart" features along with modern digital watch face, the concept image above may very well share a similar design language with that of the purported Altius smartwatch - in that it'll have a removable module which will fit into various interchangeable wrist bands, and presumably other accessories similar to that of Motorola's MotoACTV. Apparently, someone has also leaked a few screenshots of the Galaxy Altius' OS and user interface, but those were quickly called out as fakes. Judging by Samsung's push for new products, we can only assume the Galaxy Altius will officially be revealed sooner rather than later.